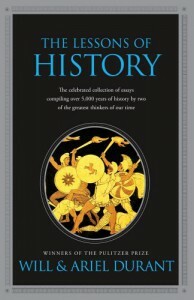 Somewhat dated by now, and — rather obviously — hugely oversimplified (it's the 11 volume, 10,000 page, “Story of Civilisation” set condensed into barely 100 pages), but it does a masterful job of presenting a broad sweep of not just the "facts" of history, but a lifetime's worth of insight, wrapped in many delightful turns of phrase. • In philosophy we try to see the part in the light of the whole; in the "philosophy of history" we try to see this moment in the light of the past. We know that in both cases this is a counsel of perfection; total perspective is an optical illusion. • War is a nation's way of eating. It promotes co-operation because it is the ultimate form of competition. • Since Nature has not read very carefully the American Declaration of Independence or the French Revolutionary Declaration of the Rights of Man, we are all born unfree and unequal. • Nature smiles at the union of freedom and equality in our Utopias. For freedom and equality are sworn and everlasting enemies, and when one prevails the other dies. • Even the children of Ph.D.s must be educated and go through their adolescent measles of errors, dogmas, and isms. • A Pasteur, a Morse, an Edison, a Ford, a Wright, a Marx, a Lenin, a Mao Tse-tung are effects of numberless causes, and causes of endless effects. 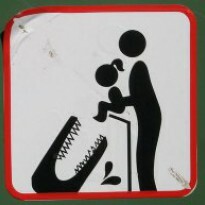 • Other factors equal, internal liberty varies inversely as external danger. • Democracy is the most difficult of all forms of government, since it requires the widest spread of intelligence, and we forgot to make ourselves intelligent when we made ourselves sovereign. • It may be true, as Lincoln supposed, that "you can't fool all the people all the time," but you can fool enough of them to rule a large country. • We must not demand of progress that it should be continuous or universal. • Consider education not as the painful accumulation of facts and dates and reigns, nor merely the necessary preparation of the individual to earn his keep in the world, but as the transmission of our mental, moral, technical, and aesthetic heritage as fully as possible to as many as possible, for the enlargement of man's understanding, control, embellishment, and enjoyment of life.